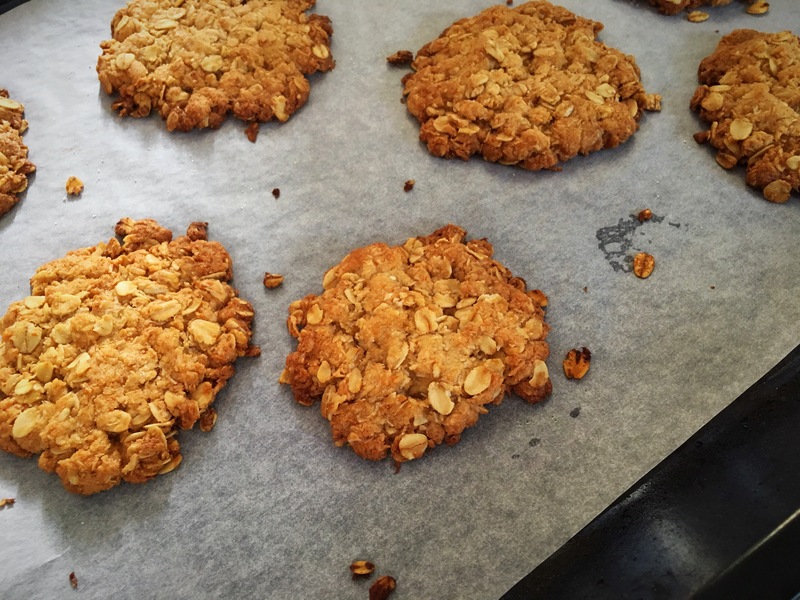 Anzac biscuits are very popular in Australia and New Zealand. It is known to have originated during world war I when the wives and the women of the soldiers pack and send to them as it stays fresh for a long time. The ingredients used are also quite healthy like rolled oats and desiccated coconut. I drew inspiration from Donna Hays recipe. The traditional recipe uses golden syrup but I substituted it with maple syrup. It has a gorgeous crispy texture and ready in just 15 mins. 8. Hot water- 1 tbsp. 2. In a bowl, add rolled oats, plain flour. 3. Melt the butter and mix with sugar. 4. Mix bicarbonate soda with 1 tbsp hot water and add to butter mixture. 5. Combine oats and butter mixture together. 6. Take small balls of mixture and flatten to round biscuit shape on a baking tray lined with baking sheet. It may not stick together well, but don’t worry after baking it will be fine. 7. Bake for 10 mins and allow to cool for another 5 mins. It will take 2 batches to finish the mixture to make ~14 biscuits. Enjoy yummy tasting Anzac biscuits.